Make Oyster Bay NY Your Long Island Vacation Destination! Beautiful beaches, historic attractions, lush parks and scenic countryside make Oyster Bay NY the perfect Long Island getaway. Oyster Bay is a charming region on the western side of Long Island, NY. Its sparkling beaches reach from the northern bay shores of Long Island to the southern Atlantic shoreline. Visitors enjoy swimming, boating and fishing off the beaches of this beautiful area. Oyster Bay was a vacation favorite of former US President Theodore Roosevelt. 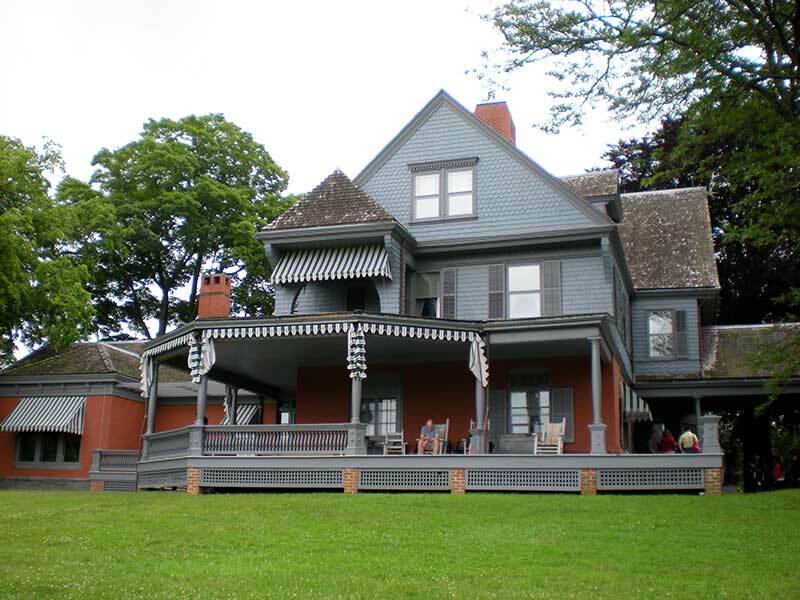 His stately Victorian mansion on Sagamore Hill has been restored over the years and now serves as a popular tourist attraction. Visitors enjoy touring the mansion and peeking through the rooms that once housed one of the most important political icons in history. Another one of Oyster Bay's most valued attractions is the Bailey Arboretum, a 40-acre plant and wildlife haven, featuring over 600 different species of trees, rare shrubs, exquisite flowers and beautiful rock gardens. The Sensory Garden, a recent addition to the arboretum, is specially designed for the handicapped, having signs written in Braille and offering wheelchair accessibility. Other parks, museums and attractions add to the charm and beauty of Oyster Bay, NY. With many great restaurants, resorts and lodging options, not to mention the beautiful beaches, Oyster Bay is the perfect destination for honeymooners and vacationers seeking a fun-filled Long Island getaway.